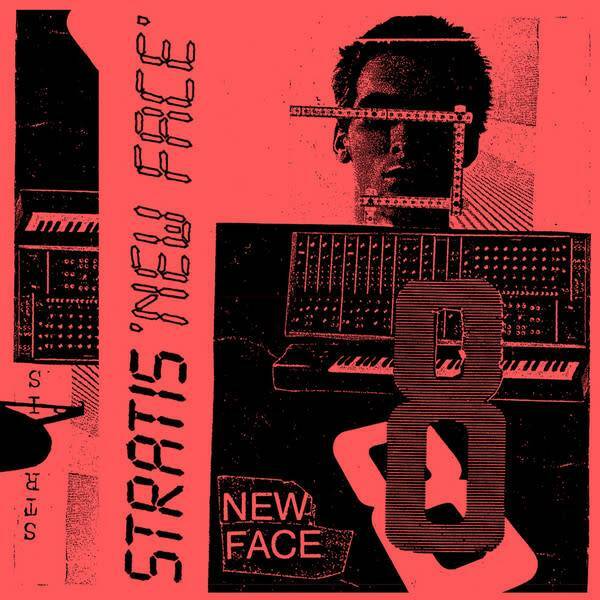 Stratis is an electronic duo from Cologne, Germany, formed by Antonios Stratis and Albert Klein in 1981. They took inspiration from the progressive electronic synthscapes of Tangerine Dream & Vangelis and the proto-techno of Chris & Cosey and Yello, as well as jazz and funk. The duo recorded 5 cassette-only albums between 1982 and 1986 – Exotic, New Face, Musica da Ballo, Film Musik, and Raging Beauty – which were released on their own label Creative Tapes (later called Temporary Music), and which were also licensed to Colin Potter’s Integrated Circuit Records (ICR) label. New Face consists of eight future-fixated tracks that could have been composed for movies like Blade Runner or Tron. A wide range of minimal electronics are presented, from robotic synth pop to melancholic cold wave to Neue Deutsche Welle electro. The masters for this reissue came from a new transfer made by Colin Potter at ICR in May 2018.